Over 90% of Saturday's 50 mile course on is on singletrack, taking in almost 3500m of climbing and descending to showcase the stunning views across glaciated snow capped peaks and magic rocky mountain scenery. If that's not enough, runners have the option of backing up and completing the infamous 50/50...by lining up to take on the 50km event on the Sunday! On both days you'll find locals Howe Sound Brewing waiting for you at the finish line with some cold refreshments, which just might be the perfect reason to enjoy the shorter 23km course and get to the finish line sooner! 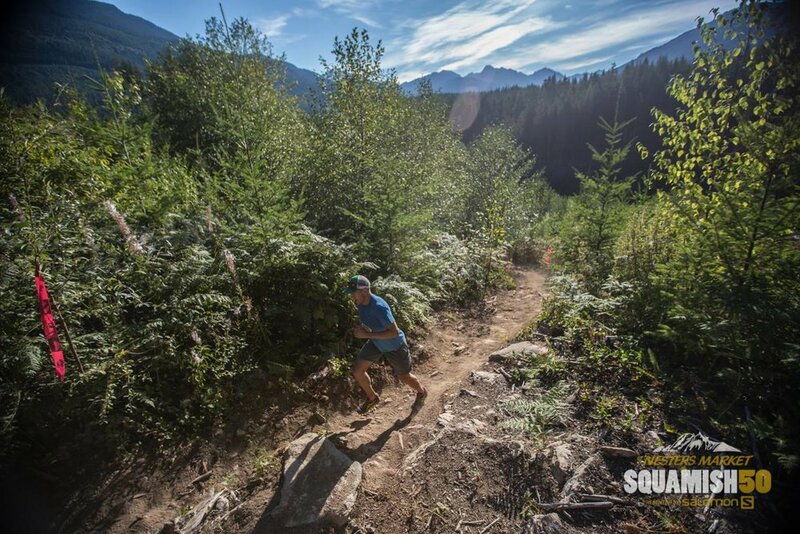 With limited spots available for each event it's easy to see why runners travel from all around the world to be a part of the Squamish 50 weekend. The variety of events available ensures that no matter what distance you choose, you'll be able to take on the absolute best running terrain in Western Canada and enjoy those finish line feels! 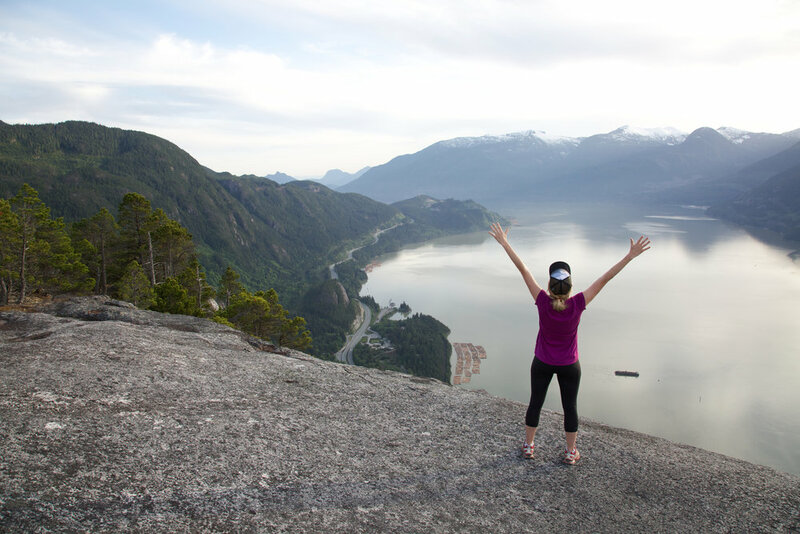 The Squamish 50 Trail Trip is spent in the heartbeat of Western Canada, sharing time between both Vancouver and Whistler in British Columbia. Vancouver is full of personality and consistently voted one of the most liveable cities in the world. Surrounded by mountains, the people of Vancouver maintain their sense of adventure whilst enjoying all the perks of big city life. Shopping, eating, drinking coffee and walking around the famous Granville Markets is a highlight for visitors, before kicking back and enjoying an afternoon walk through Stanley Park and watching the sunset over English Bay. Whistler on the other hand is a little closer to the action and home to one of the largest ski resorts in North America. In the summer there are plenty of options for those who enjoy getting out in the fresh alpine air, with a variety of mountain biking, trail running and hiking activities to choose from. The compact chalet-style pedestrian village is a perfect place to prepare and recover from the Squamish 50 running events. TRAIL TRIPS CAN ARRANGE AND BOOK ALL FLIGHTS FOR THE squamish 50 AND CAN HELP IF YOU WISH TO EXTEND YOUR STAY BEFORE/AFTER THE BASE TRIP. CONTACT OUR BOOKING TEAM TO DISCUSS YOUR OPTIONS.